The first beauty blogger that I ever subscribed to on You Tube was Zoella all the way back in 2011 (it feels like ages ago!). I was going through a lot of personal problems in my life and somehow watching her videos and seeing her friendly face made me feel happy again. She always talked to her viewers like they were her friends and she made everyone feel welcome. Not only did Zoe talk about beauty and hair but she also discussed several personal problems like Anxiety. It was after watching her videos for a few weeks that I noticed that on top of being a "You Tube Star" she was also a blogger! Her writing was exactly how she was in her videos and you could easily relate and actually find yourself laughing to yourself about the thing she wrote about. After seeing her progress so much in just the space of the few months I'd been subscribed for, I decided that I wanted to do the same. 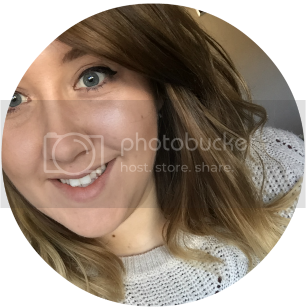 Zoella inspired me to set up this blog and to even keep going when I thought about quitting. Because of this I felt a lot of love and gratitude towards Zoella and I was so happy for her when I heard about her not only writing her own fiction book called Girl Online but she was also releasing her own beauty range at Superdrug and Feel Unique! WOW! I've already pre-ordered my copy of the book and as soon as the range went on sale, I managed to bag myself her! The whole Zoella Beauty range does include a few more products but since there was such a big demand for them on the day of release, I only managed to get the body lotion and the body mist before everything else ran out of stock! As far as I'm aware though from reading other blogger's reviews, the same fragrance runs throughout all of the products. My first impressions was that is very sweet and fruity, but not overpowering and to be honest, sickly. It contains notes of strawberry, violet, jasmine, vanilla and gardenia which is very light and fresh and perfect as a little pick me up throughout the day. I loved wearing the body mist and I got compliments from everybody I saw the day I wore it. It lasted throughout the day and I hardly felt the need for a top up. I haven't really tried the body lotion as much apart from testing it on my hands but I found the formula to be very thick and creamy and the smell really is UH-MAZE-ZING! I'm so proud of Zoella and she is the perfect example that dreams can come true if you work hard enough for them! I honestly wish her all the best with the beauty range and her new book Girl Online. You can check out her beauty range on Feel Unique or Superdrug and pre-order Girl Online on Amazon!